GFL Environmental Inc., a portfolio company of BC Partners and Ontario Teachers’ Pension Plan (OTPP), has agreed to acquire Waste Industries from HPS Investment Partners, LLC, Equity Group Investments, and the Poole family for a total enterprise value of US $2.825 billion or CDN $3.65 billion. The transaction, which is expected to close in the fourth quarter of 2018, is subject to customary regulatory approval. 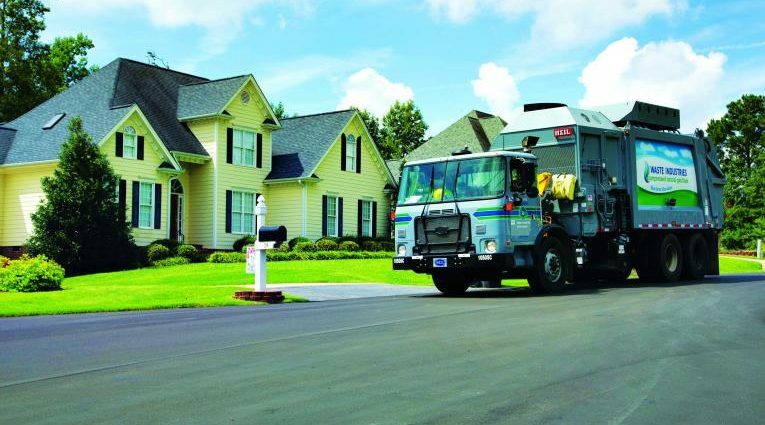 Founded by the Poole family in 1970, Waste Industries is a premier independent, vertically integrated solid waste management company in the Southeastern United States. 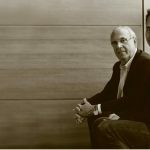 In September 2017, an investor group, including the Poole family and members of senior management, and funds controlled by HPS Investment Partners and Equity Group Investments, acquired 100% of the stock of the company, replacing Macquarie Infrastructure Partners as the primary shareholder. Upon closing the of the acquisition, GFL will become the largest privately owned environmental services company in North America with operations in all Canadian provinces except Prince Edward Island and in 10 states in the United States. Patrick Dovigi will continue to be the President and CEO of the combined company. BC Partners, Ontario Teachers’ and certain of GFL’s other shareholders including Dovigi are providing new equity financing for Waste Industries acquisition. Barclays, Bank of Montreal, BMO Capital Markets Corp. and Royal Bank of Canada are providing committed debt financing. Waste Industries is the first major acquisition by GFL following its $5.125 billion recapitalizations in May 2018. BC Partners led investor consortium, including Ontario Teachers’ and others, acquired interests held by HPS Investment Partners, Macquarie Infrastructure Partners III and Hawthorn Equity Partners, with Dovigi maintaining a significant ownership interest. Following the closing of the transaction, the founding Poole family and members of management who are contributing committed capital, will become shareholders of GFL. Waste Industries’ current Chairman & CEO, Ven Poole, will join GFL’s board of directors. 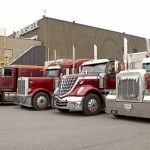 TORONTO, Canada and RALEIGH, North Carolina—GFL Environmental Inc. (“GFL”) and Waste Industries announced today that they have entered into a definitive merger agreement in a transaction that values Waste Industries at a total enterprise value of US$2.825 billion (approximately C$3.65 billion). 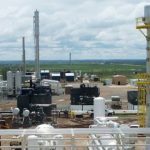 The transaction, which is expected to close in the fourth quarter of 2018, is subject to customary regulatory approvals. Following its recapitalization completed in May, 2018 with a consortium led by affiliates of BC Partners (“BC Partners”) and including affiliates of Ontario Teachers’ Pension Plan (“Ontario Teachers'”) and others, GFL is one of the largest environmental services companies in North America. 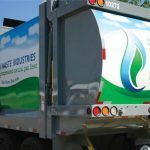 Since its founding by the Poole family in 1970, Waste Industries has grown to become the premier independent, vertically integrated solid waste management company in the Southeastern United States. When combined with GFL’s existing solid waste operations, GFL and Waste Industries will become the largest privately owned environmental services company in North America with operations in all Canadian provinces except Prince Edward Island and in 10 states in the United States. The combined company will operate 98 collection operations, 59 transfer stations, 29 material recovery facilities, 10 organics facilities and 47 landfills, and will have more than 8,850 employees. Patrick Dovigi will continue to be the President and CEO of the combined company. Certain shareholders, including the founding Poole family, and members of management are contributing committed capital and are expected to become shareholders of GFL in connection with the transaction. Waste Industries’ current Chairman and CEO, Ven Poole, will also join GFL’s Board of Directors upon closing of the transaction. 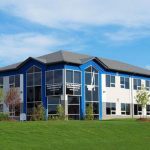 BC Partners, Ontario Teachers’ and certain of GFL’s other shareholders including Mr. Dovigi are providing new equity financing for the transaction. In addition, Barclays, Bank of Montreal, BMO Capital Markets Corp. and Royal Bank of Canada, are providing committed debt financing. 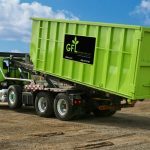 GFL expects the debt financing to consist of secured and unsecured debt, which will be used to fund a portion of the purchase price and to repay existing Waste Industries indebtedness. In anticipation of the closing, GFL also announced today that Luke Pelosi has been appointed Chief Financial Officer to replace David Bacon. On the closing of the merger, Greg Yorston will take on the role of Chief Operating Officer for all of GFL’s solid waste operations in Canada and the United States. Additionally, Waste industries’ current Chairman and CEO Ven Poole will serve as a Senior Vice-President of the combined company following the transaction. Mr. Pelosi joined GFL in January of 2015 as Executive Vice-President, Corporate Development, added the role of Interim Chief Financial Officer of GFL from February until May of 2017 and since January 2018 has been GFL’s Chief Operating Officer. Mr. Yorston has over 30 years of solid waste industry experience and has been instrumental in continuing to drive operational efficiencies since he assumed the role of COO of Waste Industries in 2013. BC Partners is a leading international investment firm with over €20 billion of assets under management in private equity and private credit. Established in 1986, BC Partners has played an active role in developing the European buy-out market for three decades. Today, BC Partners executives operate across markets as an integrated team through the firm’s offices in North America and Europe. HPS Investment Partners (“HPS”) is a leading global investment firm that seeks to provide creative capital solutions and generate attractive risk-adjusted returns for our clients. We manage various strategies across the capital structure that include syndicated leveraged loans and high yield bonds to privately negotiated senior secured debt and mezzanine investments, asset-based leasing and private equity. The scale and breadth of our platform offers the flexibility to invest in companies large and small, through standard or customized solutions. At our core, we share a common thread of intellectual rigor and discipline that enables us to create value for our clients, who have entrusted us with over $46 billion of assets under management as of September 2018. For more information, please visit www.hpspartners.com. Equity Group Investments (“EGI”) is the private investment firm founded by Sam Zell 50 years ago. Based in Chicago, EGI invests opportunistically across industries and geographies and throughout the capital structure. Current portfolio investments are in waste and infrastructure, energy, transportation and logistics, manufacturing, communications, healthcare, agribusiness, insurance, and real estate. EGI provides flexible capital and employs an engaged ownership approach to maximize the potential of its investments. Union Partners acquired Mississauga, Ontario based Maksteel for undisclosed amount.